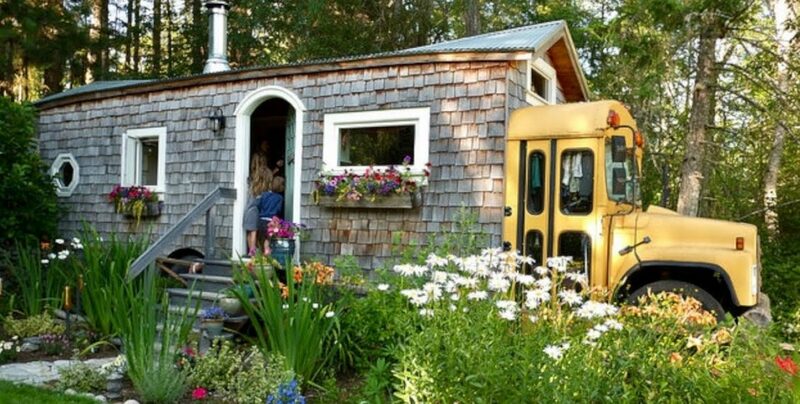 Seven years ago, Jeremy and Mira Thompson quit their jobs and sold their suburban home to hit the road in a short-bus they’d converted into a mobile home. After a year on the road, they’d gone through their savings and were thinking about starting a family. Now living on family property in rural Washington they bought a full-sized school bus at auction. This time they stripped away the metal behind the cab and embedded a wooden cottage inside their new vehicle.